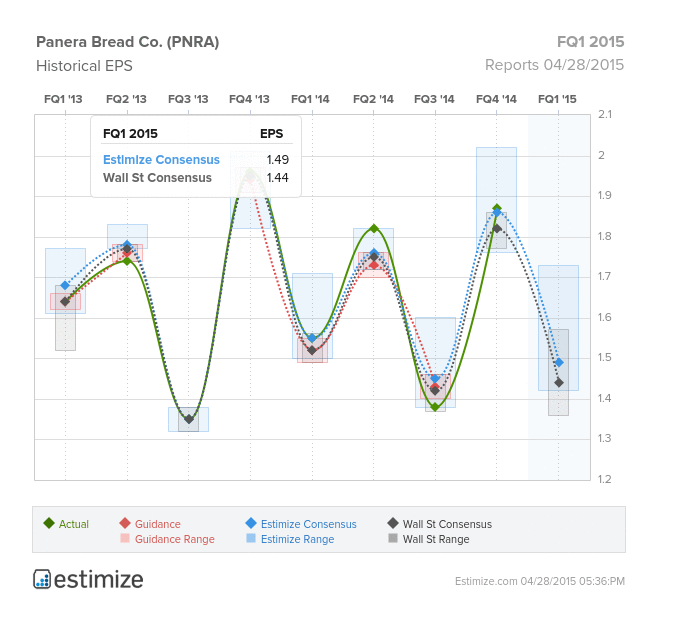 Will Panera 2.0 Dilute First Quarter Earnings? Panera Bread Co (NASDAQ: PNRA) will report its first quarter financial results on Tuesday, after the market closes. According to Estimize, the crowd is slightly more optimistic than the Street. The former expects consensus EPS of $1.49 (on revenue of $662.68 million), versus Wall Street’s consensus of $1.44 (on revenue of $658.33 million) and $1.55 reported in the first quarter of 2014. 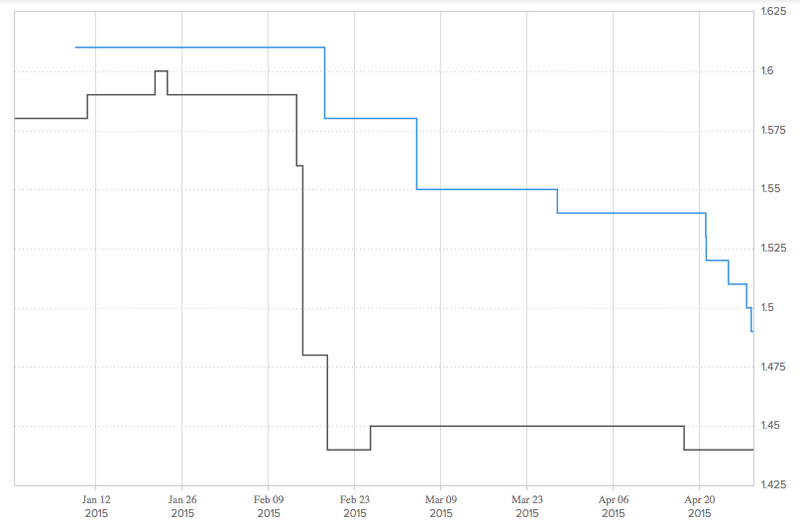 The graph below shows the history of Panera’s earnings compared to crowdsourced and expert estimates. Interestingly, Estimize also allows users to visualize how the consensus for both the Street and the crowd have changed over time. Since the beginning of the quarter, both Wall Street and Main Street have been losing confidence in Panera’s results and consequently trimming their estimates. In a report published Tuesday, Wunderlich analysts provided a preview of Panera’s first quarter results, reiterating a Hold rating and a $185 price target on the stock. The analysts said "the roll-out of Panera 2.0, while expected to eventually lift sys-SSS and EPS, is likely to be dilutive to EPS in 2015 and 2016." The firm trimmed its EPS estimates for 2015 and 2016 from $6.70 to $6.35, and from $7.70 to $7.00, respectively. Who Holds The Most Twitter Stock?